It's real. A hot dog pizza crust is coming soon to a Pizza Hut near you. The company says Americans have been asking for a hot dog/pizza combination pizza ever since they introduced it in other parts of the world. As a result, Pizza Hut created the Hot Dog Bites Pizza, available while supplies last beginning Thursday, June 18. 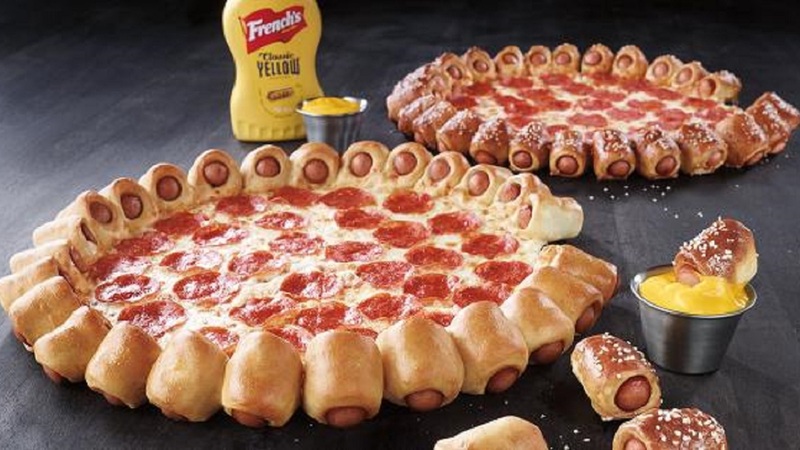 The exclusive U.S. version features 28 premium hot dog bites baked into the crust, including their popular pretzel crust. It is served with a free side of French's mustard for $11.99.